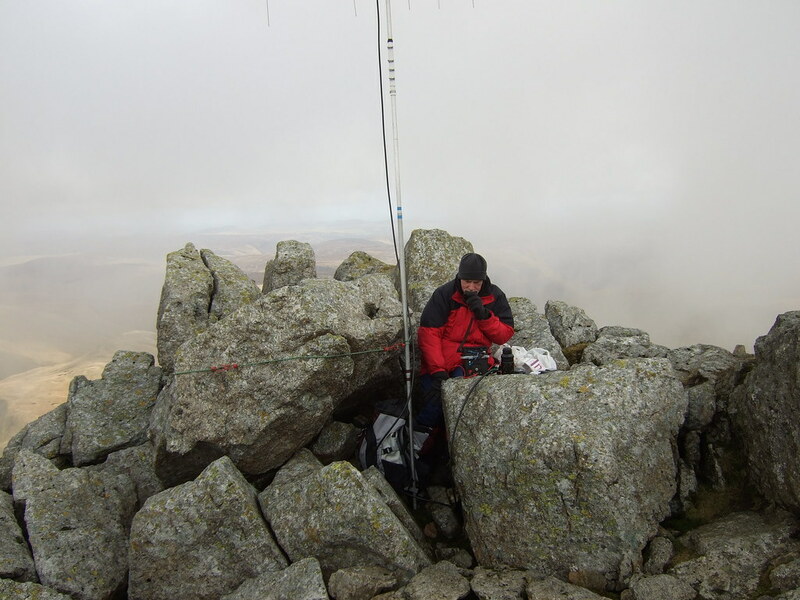 Apologies for no HF and a very quick activation of Glasgwm NW-015 yesterday. “Hit & runs” are not the normal operating style for Gerald G(W)4OIG or myself, but I was on an XYL set deadline to be back home & ready for an evening out. Many thanks to Graham G4JZF for the SOTAwatch spot and for rustling up the chasers for us. In reply to GW4BVE: John, not sure what happened there (I understand the circumstances) but I heard Gerald work G4JZF and then tried calling. Did you have to change vertical or just simply beaming away from me? No problem, just wondering as I have a strange feeling it was the former. Hi Steve. We were horizontally polarised throughout the activation. I think Gerald did call on FM at one time but it was horizontally polarised. Antenna was a dipole and we were rotating it to peak signals. Yes Steve - I too solemnly swear not to do operations like this one in the future unless I am really forced to. Sorry we missed out on working you. We worked Dave G6LKB after Graham, so the dipole should have been in your direction. We were running 25w output. My calls on FM were prior to hooking up with Graham - I don’t remember going back onto the mode. John and I debated whether we had time to activate Glasgwm as we were passing on our circular route - not as though access to this summit is an easy diversion as it is a steep climb. You have to want to go up it. I’m really pleased we did it - it made the trip over from the flatlands really worthwhile - 2 summits = 20 points = 10 per cent of my total points to date! You can blame me for gassing too much on Aran Fawddwy for the snappy activation on Glasgwm! Hi Gerald. Well the photo of you in your eyrie on Aran Fawddwy is popular. It has been viewed 18 times since I uploaded it this afternoon. I didn’t hear you work Dave but you were quite strong working Graham (S5-7) and then seemed to disappear so wondered if you had suffered a problem with the beam and gone vertical. I don’t know why I thought that might be the case, but I did. I was also using 25w and a ten element beam and called you several times. As long as you qualified that is what counts, there had been an alert that you were struggling for contacts.